If I were better at writing press releases, that's what this would be but who needs all that pomp and circumstance when there are good people trying to do good things for others? Paul and I are thrilled—no wait! Honored is the right word—to announce Organic Farm Charity is holding a fundraiser on September 22, 2018. All proceeds raised will benefit three Puerto Rico farms: Govardhan Gardens, Pachamama Forest Garden and Mayani Farms. 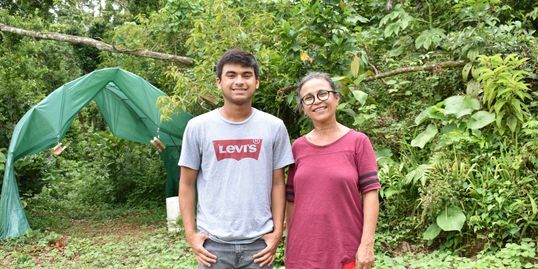 Organic Farm Charity (OFC) was founded by Adharsh Subramanian, who will be starting his senior year in high school in a few weeks. Yes, he's a high school student. He lives with his parents in Southern California and they wanted to do something for a few local farmers on Puerto Rico. 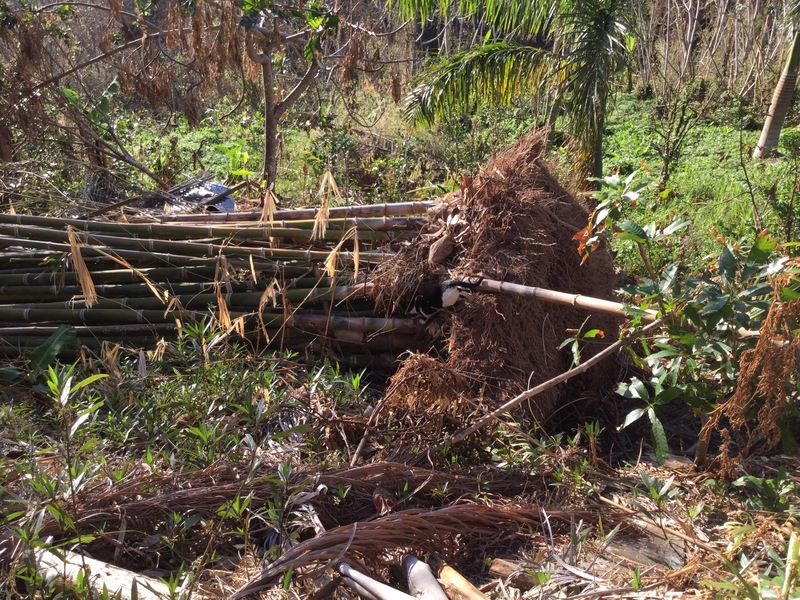 In the aftermath of Hurricane Maria, many fundraisers and government-approved services were created to help the farmers who were affected by the hurricane. Indeed FEMA called themselves helping Puerto Rico's farmers. Evidently they donated over $2 billion to Puerto Rico. However, this money was / is earmarked for farms that are registered with the Department of Agriculture, which promotes the use of chemical fertilizers, pesticides and herbicides, and those farmers who sell their yield. 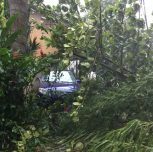 I truly hope those farmers—who comprise the majority on the island—were able to receive some aid out of this. None of the farmers we know have. Govardhan Gardens and Mayani Farms created fundraisers to raise money to rebuild our farms but despite many generous donors, our respective goals weren't reached. 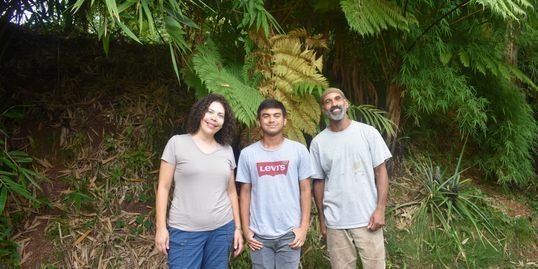 Adharsh and his father Dhandu visited Puerto Rico in June to meet with Sadhu (Govardhan Gardens) and Magha Garcia (Pachamama Forest Garden). They contacted Sadhu to prior to their visit and told him they were compelled to help a few organic farms on the island. Sadhu contacted us and asked if we'd been able to reach our fundraising goal. When I told him that despite the generosity of many donors, we still needed several more thousand dollars, he arranged for Dhandu and Adharsh to meet us. What was once our nursery. This defines kindness on the part of Dhandu, Adharsh and Sadhu. Bamboo ripped from the ground like it was just a grain of sand. 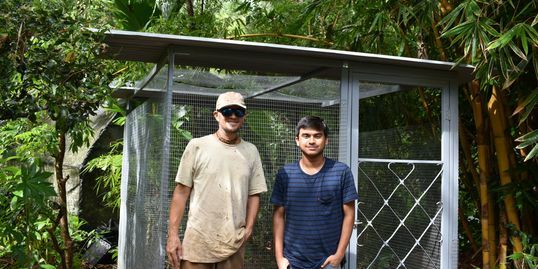 When Dhandu and Adharsh visited us, we walked the farm with them and pointed out areas that were destroyed and ones that were somehow ignored by Maria. 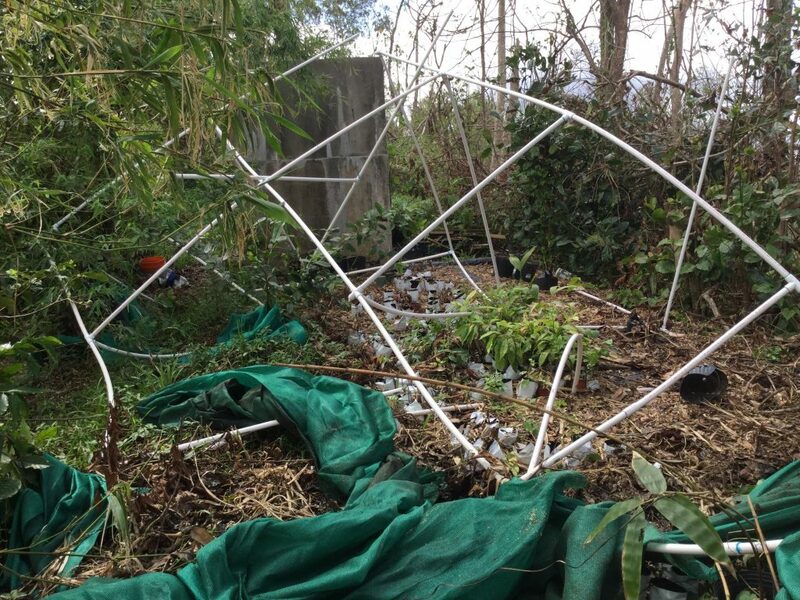 We talked about our fundraising efforts and itemized the things we still needed to get Mayani Farms back to where it was before Hurricane Maria. They confirmed the fundraising event and told us they would include us in the list of farms they would raise money to help. Dhandu and Adharsh explained how the fundraiser will work. Adharsh is a jazz musician. He will lead a jazz ensemble of between 10 and 15 high school students and professional jazz artists. Adharsh is busy sending donation letters to corporations and individuals about the fundraiser. Here's where I need you. I'm combing my contact lists to find professional jazz musicians who would like to be part of an orchestra of other professional artists and students at this benefit concert. Expenses and lodging will be provided. 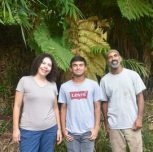 I'm also asking if you would kindly share this blog so others are aware of this fundraiser to benefit three organic farms in Puerto Rico, including Mayani Farms. And if you live in Southern California and you would like to attend Organic Farm Charity fundraiser, or you would like to donate to Organic Farm Charity, please reach out to Dhandu and Adharsh directly. 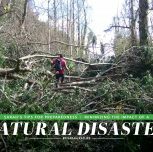 For more information on the fundraiser, please visit the Organic Farm Charity website. It explains everything in full. To make a donation to Organic Farm Charity, you can use this link.